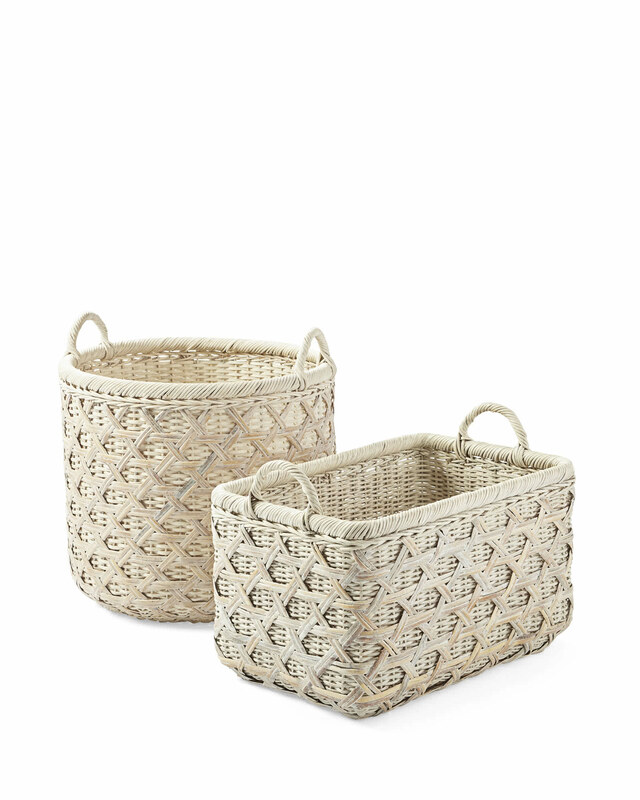 Sag Harbor BasketSag Harbor Basket, alt="Sag Harbor Basket, "
Print Two sizes, two shapes. 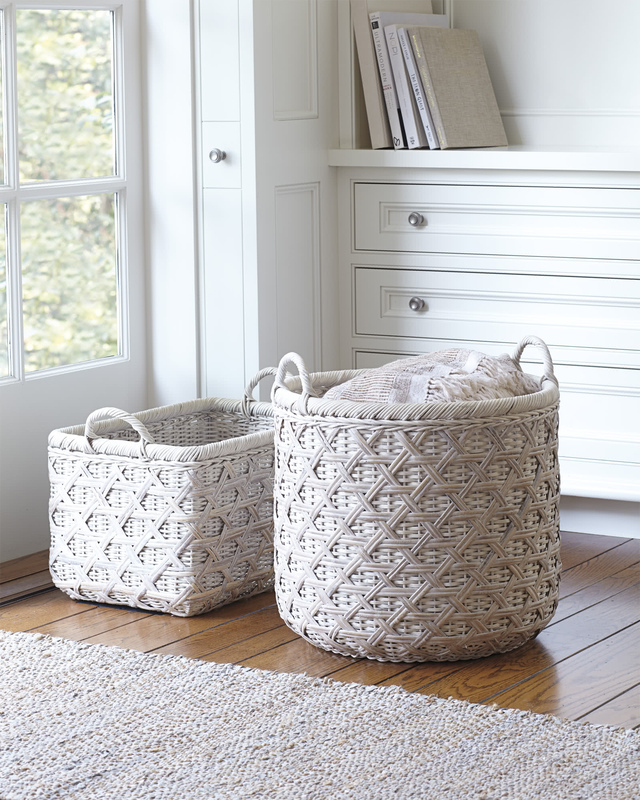 Bamboo caning and a whitewashed finish prove that even conquering clutter can be done with plenty of style. 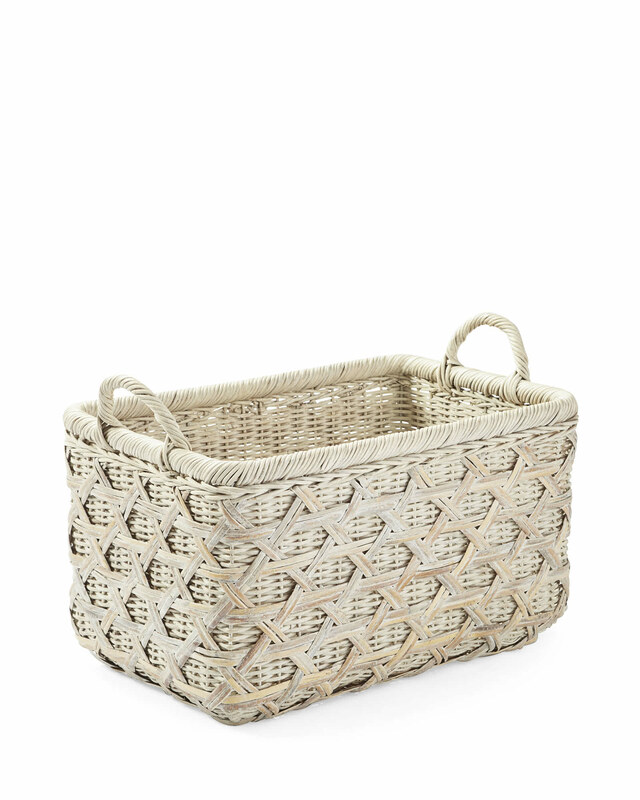 We see this bringing order to office or living room, but it can easily do double duty in the nursery as a catchall for toys one minute, extra blankets the next. 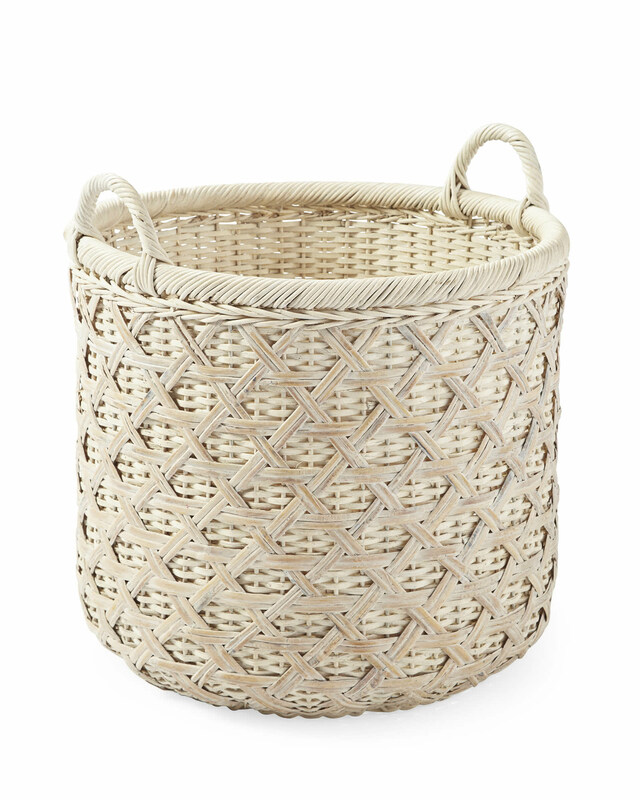 Handwoven rattan with whitewash finish. Round: 20”DIAM x 21”H overall. Rectangular: 23”L x 14.5”W x 16”H overall.